Here at the Wessex Kidney Patients Association we support kidney patients in Hampshire, West Sussex, Wiltshire and The IOW. We are a small local charity for local issues. 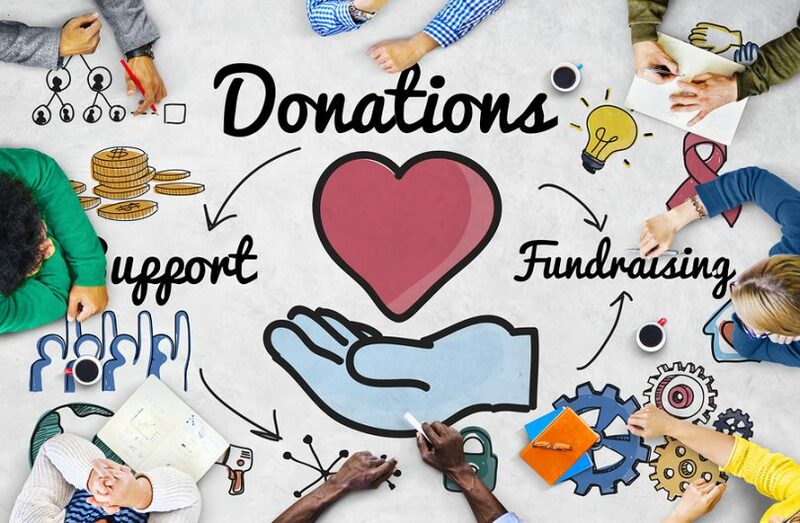 If you wish to donate to us, or if you wish to donate to your dialysis unit then your donation needs to be made payable to the WKPA as the units cannot accept donations themselves. We will ensure that what they need comes out of that money. This also applies to any legacies left. We cannot bank any thing that is not payable to the WKPA or Wessex Kidney Patients Association. From the Just Giving top 10 fundraising ideas page, here's some inspiration to get you on track for raising money! It’s a challenge that many aspire to conquering during their lifetime, and is certainly no small feat. Running 26.2 miles takes a lot of preparation, training, and perseverance, and is a challenge that should be approached with dedication and respect, as it can be very demanding physically. This isn’t meant to put you off, JG staffers who have run marathons often get the bug and have run in multiple events in cities across the world. Fundraising and the marathon go hand in hand, and that sometimes makes it easier to communicate to your supporters how dedicated you are to the cause you are running for. For those put off by the long-distance running of the marathon, there are many 10k and smaller running events around the country that are perfect for the more casual athlete. You will obviously still need exercise and preparation in the build-up, but the event can be approached with an attitude of “let’s get in shape” rather than looking to run an elite event. There are plenty of organised events for those that would prefer a bicycle challenge rather than running to raise money for a charity. Or think of a cycling trip you have always wanted to take and raise money that way, both options are great for those who really enjoy riding their bicycles and helping to change lives. It might not be easy for some, but it should be relatively simple for most people to give up something they enjoy for a month in order to raise some money for charity. There are many options, we have seen Dechox for chocolate, Sober October for alcohol, and Movember for shaving facial hair. This is another option for the creative among you, as you can choose to ditch the thing that you know your supporters will be most surprised you are giving up. The UK is a nation of animal lovers, and as a population we obsess over our four-legged friends. A number of organised charity events have launched for those that want to spend time with their pets and raise money for a good cause. Some like the Dog Jog are open to all abilities and are a fun way to spend a day out with other dog owners, where both you and your pet get some exercise and help raise money for charity. You can also be creative and use your pet as a focus point for your fundraising, perhaps getting people to donate to animal welfare charities or rescue centres on their behalf. Skydiving has long been a typical fundraising challenge, and it is still quite popular as a way to demonstrate commitment to a charity cause. Likewise, abseiling, long distance runs, or mountain climbing challenges can all resonate with supporters who will realise just how much effort you are putting into your charity work. A great way to raise money and engage with your local community is to organise a charity event with your children’s school. Having an activity day, that is linked to an online fundraising page, is an innovative way to teach kids about social responsibility and ICT. It sounds very traditional, but with the popularity of the Great British Bake Off more and more people are turning to their kitchens to kick start a fundraising drive. A bake sale in your work or your child’s school is a good way to boost your fundraising for your page. Why not think of giving as something you do year-round rather than once? By organising a series of events throughout a year, you, your family and your friends can all join in the fundraising. We have seen some really amazing examples of people doing these challenges, and they can be as difficult or as easy as you wish. The key is to just make sure you can commit to everything you say you will.